72 Kick out Clause in place. 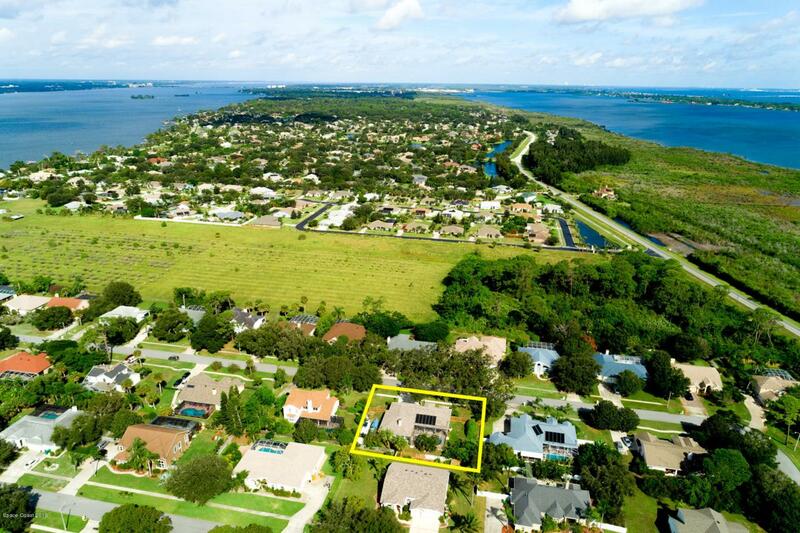 This lovely home is situated in the highly sought after community of Twin Rivers in South Merritt Island. 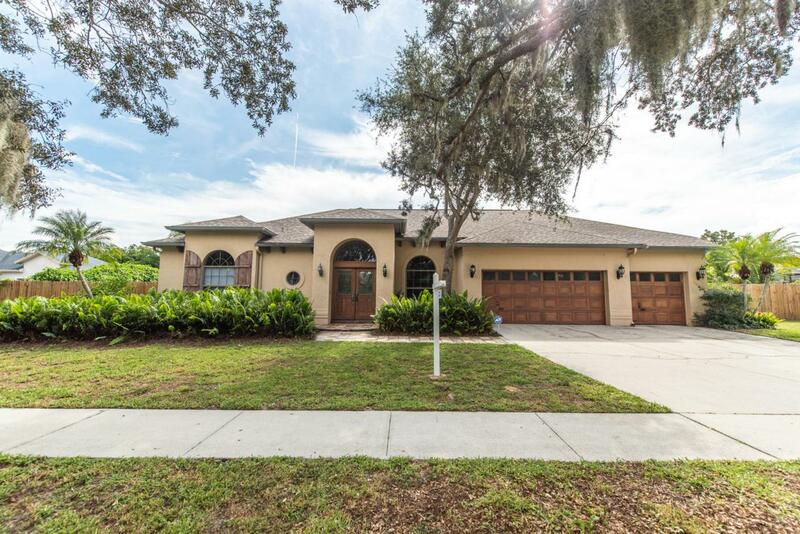 The custom Mediterranean style home boasts 4 bedrooms, 2-1/2 baths and 2,660 square feet of living space. 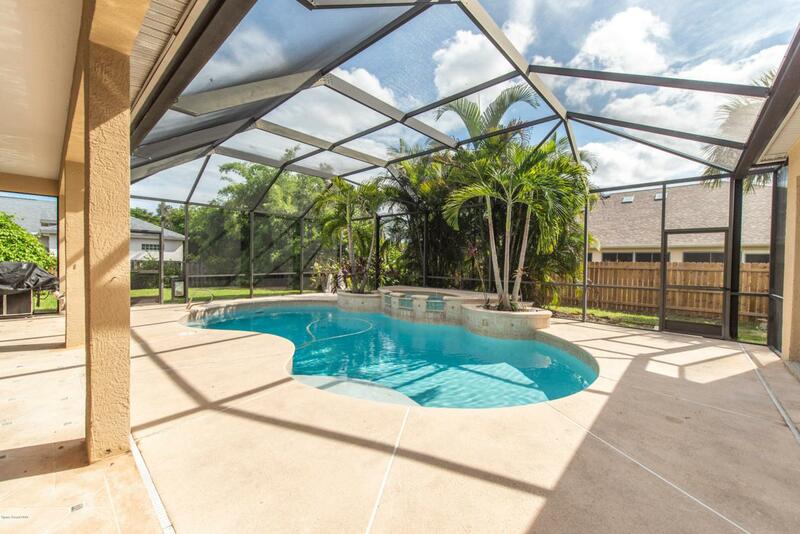 The split and open floor plan provides ample natural lighting and direct access to the pool from nearly every room. 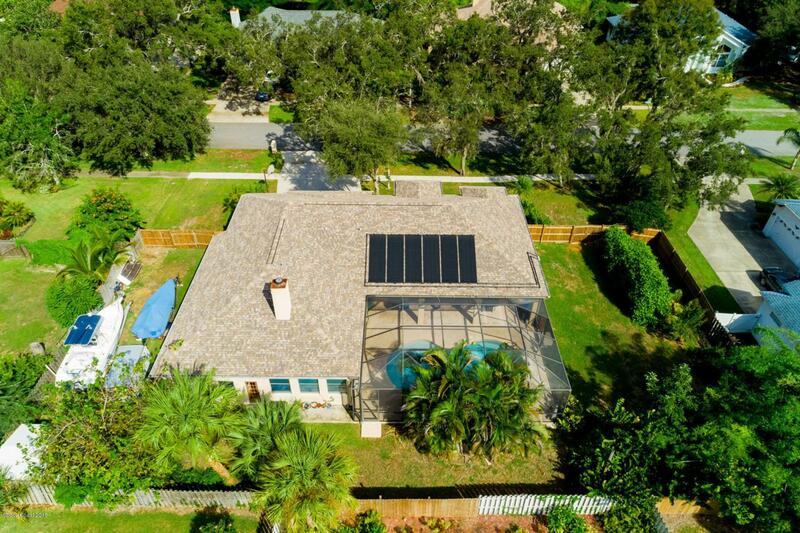 Some of the many features include custom crown molding, stained concrete counter-tops, custom solid wood cabinets, indoor laundry, plenty of storage, solar heated saltwater pool and covered lanai. Bring your toys, this home has a three-car garage, space for RV or boat parking and a large fenced in backyard.